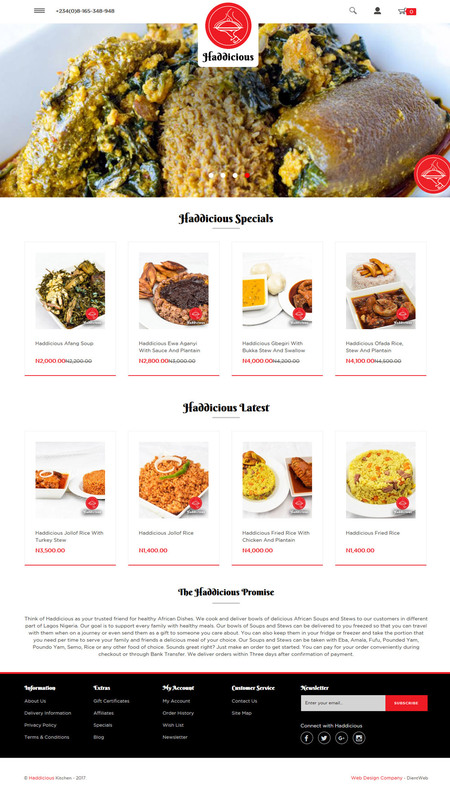 Haddicious is a successful African Food making enterprise that has for years now delivered delicious African dishes in different part of Lagos Nigeria. Following the need for expansion and wider coverage, DientWeb built her a CMS driven, easy to manage online store. 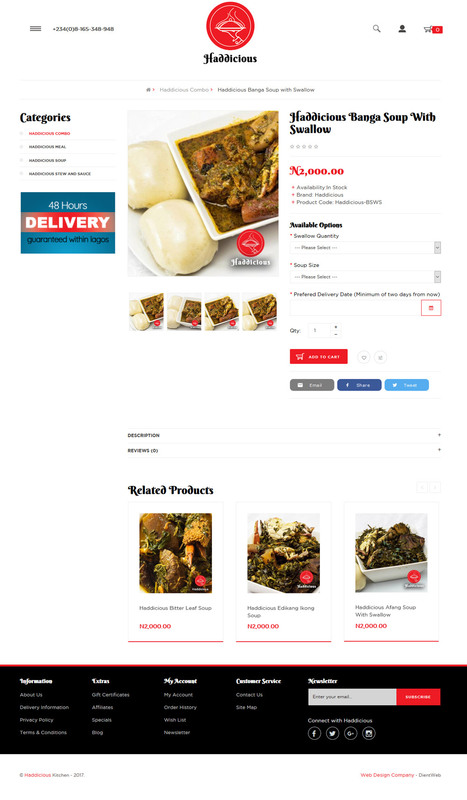 Now more customers can make orders any time of the day from the comfort of their homes and offices and get it delivered to them. 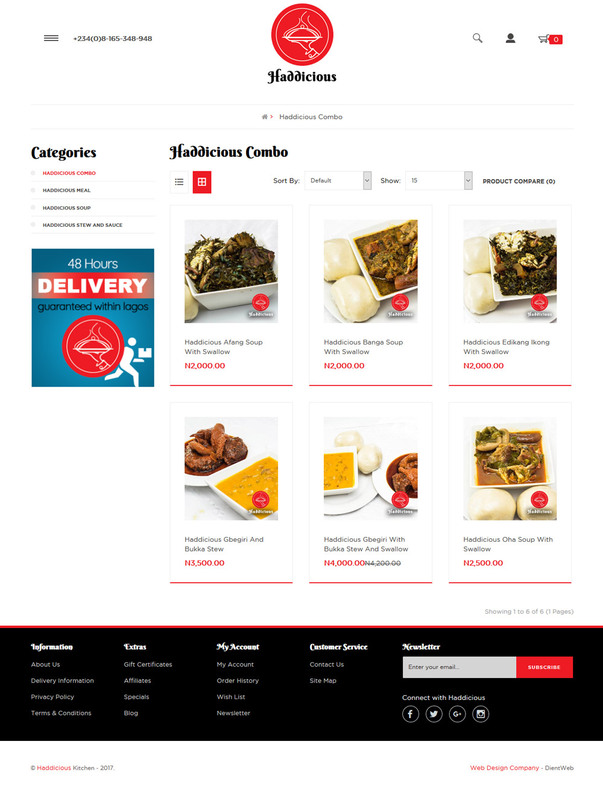 When you need to order African Foods online, just visit www.Haddicious.Com, you will be glad you did. Need a website of this nature for your business as well? Simply contact us right away. We are always glad to help. You can start selling your products and or services online today just like Haddicious is doing. DientWeb has a team of some of the best web designers in Lagos Nigeria who are always ready to work with you. Beyond developing your website, you can also count on us for Technical Support and Online marketing needs. Contact Us here or check out our eCommerce Website Development Packages to get started.